Volkswagen Caddy Review 2019 | What Car? 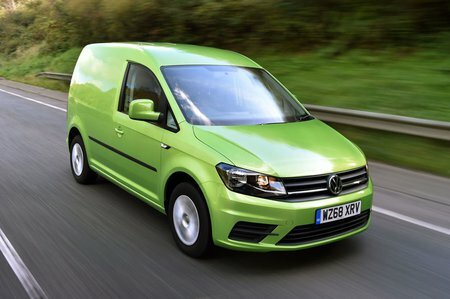 The Volkswagen Caddy is something of a phenomenon in the van world, and like its bigger brother – the Volkswagen Transport – it’s also a bit of an icon. Small vans don’t draw much plaudits, but the Caddy is now in its third generation and is improving with age. The current version was introduced in 2015 bringing with it new safety and technology improvements the likes of which you’d find in a Volkswagen Golf. Diesel and petrol engines are both available in the range, with a 2.0-litre TDI producing 74bhp, 101bhp and 148bhp pitted against three petrol engines – a 1.4-litre unit (123bhp), a 1.2-litre (83bhp) and a three-cylinder 1.0-litre option (101bhp). Although becoming increasingly common in light commercial vehicles, petrol engines still don’t attract large volumes as panel vans and usually remain the preserve of passenger-carrying variants. There’s also an ultra-efficient Bluemotion version of the 101bhp diesel Caddy that uses low rolling resistance tyres, aerodynamic wing mirrors, a lowered ride height and a clever engine management system to return a claimed fuel economy of 64.2mpg – 4.1mpg better than the equivalent non-Bluemotion version. A five-speed manual gearbox is standard on the two lower-powered diesel vans, while the 148bhp engine gets a six-speed manual gearbox as standard. An automatic six-speed DSG gearbox is also available on the 101bhp and 148bhp engine options. The Caddy is available in three trim levels – Startline, Trendline and Highline – as well as short and long (Maxi) body lengths. There’s also a five-seat Caddy Combi van and a proper seven-seat Caddy Life MPV. A compressed natural gas (CNG) version is also available – albeit for the time being only in left-hand drive. 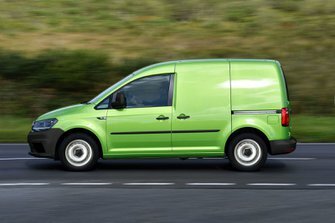 Competitors to the VW Caddy include the Ford Transit Connect, Renault Kangoo and Mercedes Citan.